What do algorithms, cryptography, medieval art and archaeology have in common? 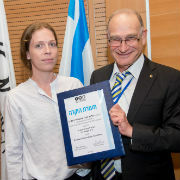 These are the research topics of the four winners of the 2018 Kadar Family Award for Outstanding Research at Tel Aviv University. The award was presented in the presence of Kadar family members during the Second Assembly of the Board of Governors Meeting. It was given in two categories – the sciences and the humanities – with prizes for senior and junior researchers in each category. The winners are: Prof. Dana Ron-Goldreich of the School of Electrical Engineering for her groundbreaking work in sublinear algorithms; Prof. Iftach Haitner of the Blavatnik School of Computer Science for his unique contribution to the development and application of cryptography; Prof. Assaf Pinkus of the Department of Art History for his highly original work in art history, focusing on living images and bodily imagination in late medieval art – the first time the award was presented to a researcher in the arts; and Prof. Erez Ben-Yosef of the Jacob M. Alkow Department of Archaeology and Ancient Near Eastern Cultures, for his study of ancient metals in archaeology and the use of geological methods that help explain biblical society. Each recipient gave a short presentation about his or her field of research following the ceremony. The Kadar Family Award was created by the Naomi Foundation, which honors the memory of Naomi Prawer Kadar PhD, a lifelong educator and specialist in Yiddish children’s literature, and the late wife of TAU benefactor Dr. Avraham Kadar, a TAU graduate, physician, educator and innovator. Their children, Maya, Nadav and Einat, are active board members of the Naomi Foundation along with Avraham; Maya and Nadav are TAU alumni and Einat is currently a student at TAU’s Sackler School of Medicine. 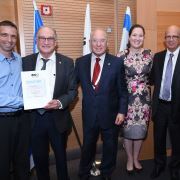 At the ceremony, Nadav said that the Award reflects the family’s belief that “TAU is a hub of innovation and education” which integrates a “pioneering spirit to change the world.” He also mentioned that each of the award recipients was noted for their outstanding teaching abilities. “Teaching and mentoring the next generation was important to my mother,” he said. The Foundation also supports the Naomi Prawer Kadar International Yiddish Summer Program, faculty positions in Yiddish, and GRTF, the Global Research and Training Fellowships (GRTF) which provide travel grants for scientists at the University. 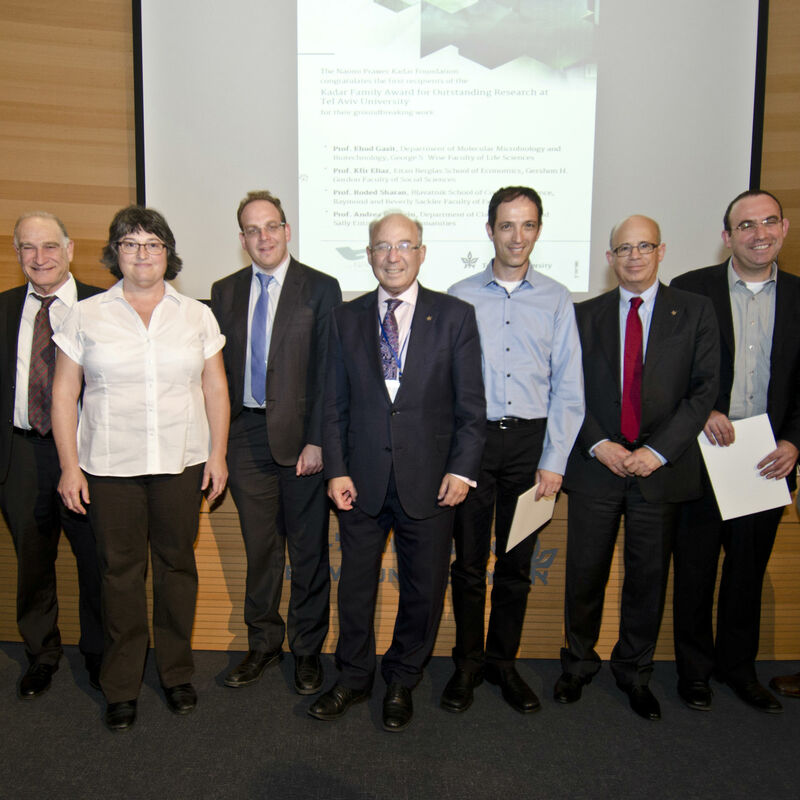 The Naomi Foundation recently held a GRTF scientific conference at TAU, moderated by TAU VP for R&D Prof. Yoav Henis. To view the full ceremony, click here.